I survived chickenpox, cancer, childbirth, and Catholic School. Thanks for coming by! Sorry I missed the comment. That challenge was pretty cool. 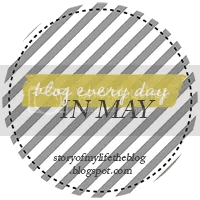 Stopping by from Blog Every Day in May. Loved this post. I survived chickenpox and Catholic school. I recently decided that maybe I want top have kids and childbirth scares the be-haysus out of me. I love your pic. Thank you. I wasn't sure what to write at first. Great was to respond to the prompt! Trying to stay true to myself. Loving that Gwen. And like your post for today. Thanks for commenting! I appreciate that, Simone. Thank you for stopping by! That's so sweet, Zoe. Love your post for today. Awesome! Thanks Karen. I'm grateful everyday. I love how you responded to this prompt! And you are an optimist like me! #BlogEveryDayInMay Thanks, Jane! you got me at childbirth…I survived adoption and the other c's…another word for you may be a T…triumphant! WOW! you're a survivor. SO amazing…your children must be so proud of you. Have a great Saturday!